When I was a new mother, preparing to bring our first baby on his first plane ride, a wise friend with older kids shared her advice for packing for family vacations. I stared down at the tower of onesies I’d folded, next to one scant bag of Cheerios. Over the years, I learned she was right. Clothes can get cleaned, but hungry kids grow cranky fast. We need less luggage but more sustenance. Now each time I pull out the suitcases, her words echo in my head. I remember to step back and take clothes out of our bags, opting for a simpler, lighter approach to vacations. But I always throw extra snacks into the kids’ backpacks. Smarter packing equals happier travelers. What parent wouldn’t plan for a trip as best they can? When turbulence jolts or car sickness hits, whether stuck on the runway or stuck in traffic, no one wants to be unprepared. Especially when travel will be long, we want to care for each child along the way. The journey of Lent is just the same. Except this time, God is the wise parent who has already brought exactly what we need. We often face Lent like it’s another family vacation: our work to plan, our job to steer and our outcome to control. But this season invites exactly the opposite. In these holy days, can we trust that God will provide? Can we remember — as we pray, fast and give alms — that Lent is God’s gift to offer, not ours to control? Scripture reminds us that God’s nature is generous, merciful, caring and compassionate: “Which one of you would hand his son a stone when he asks for a loaf of bread, or a snake when he asks for a fish? If you then, who are wicked, know how to give good gifts to your children, how much more will your heavenly Father give good things to those who ask Him” (Matthew 7:9-11). If we wonder how God longs to guide us through this sacred season, we need only look to the ways we care for children — at our best, still only a sliver or shadow of the love God pours out on us. Lent calls us to trust that God will care for us like a loving parent. Offering food and water for the journey. Caring for us, body and soul. Traveling with us through 40 days of penance and preparation. We know that Lent is going to be hard. We know we’ll want to give up and give in to temptation. We know that half of our good intentions will be swallowed up by our hardest habits. Each Lent teaches this humbling truth over and over. Yet this is precisely the point. Lent is meant to remind us that God provides. We don’t need to drag along extra luggage — fear, anxiety or shame. Whenever we hunger or thirst, God will sustain us in surprising ways. Like a loving mother or father planning for a long trip, God has already prepared what we need for the sacred mysteries that lie ahead. As I pack for this year’s journey, what can I leave behind? How can I open my hands to receive? 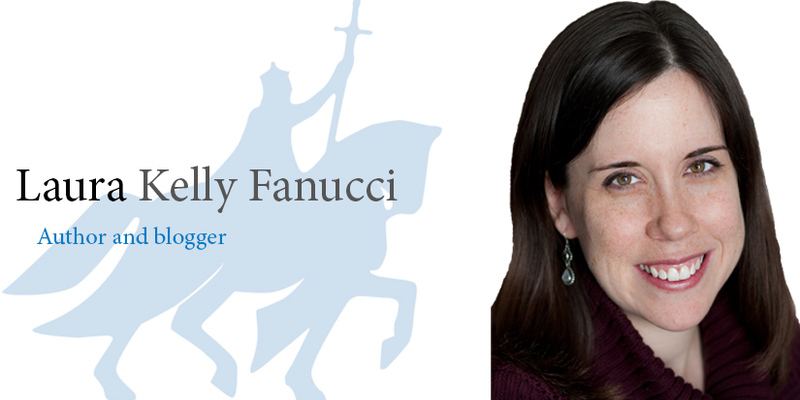 Fanucci is a mother, writer and director of a project on vocation at the Collegeville Institute in Collegeville, Minnesota. She is an author and blogs at www.motheringspirit.com.